I wrote the following article in December 1995 when hearing of the death of Robertson Davies, the Canadian novelist. I cannot remember to whom I tried to sell the story, but I can see easily why it would have been rejected. There is not much wrong with the writing, but I called the story an “appreciation” of Robertson Davies, while it was much more about the 19th century writer, Henry Cockton. It is also, in a way, such an obscure story that there would probably be few places in the world that would be interested in publishing it, and I obviously did not find one. That said, it really does illuminate Davies’ extraordinary sense of intuition, and it is also one of the few such detailed accounts of the life of this now obscure 19th century writer – Cockton – who was nevertheless a bestseller in his day, with his book, The Life and Adventures of Valentine Vox the Ventriloquist, having been constantly in print for 80 years. 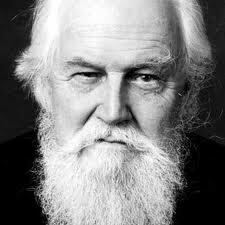 It was with shock last week that I learned of the death of Robertson Davies, probably my country’s greatest man of letters. I was also touched personally because I exchanged a couple of letters with Davies, and experienced a side of him that showed he was not just an extraordinary novelist, but a man of unusual insight. In the early 1980s I was a student of literature at the University of Toronto, and a collector of books on ventriloquism. When my rare book dealer procured a beautiful edition of a 19th century novel called “The Life and Adventures of Valentine Vox, the Ventriloquist,” I decided to investigate to find the edition’s exact date. I bought the Davies book, and the edition of Valentine Vox, and eventually several other Cockton books. And I had in mind a project to bring his best-known book back into print, and also perhaps to make the author the subject of a thesis. In 1984 I wrote Davies to ask if he would do an introduction for a new edition of Valentine Vox. Davies wrote back–starting his letter in a beautiful calligraphic hand-writing–that he thought a new edition would be a risky business. He did have another idea, however. While my projects never came about, I did go to England to see what I could find out about Cockton. Almost nothing was known about this man whose books were in print from the 1840s to the 1920s, and whose “Valentine Vox” was an influence on genre literature, and inspired generations of children to try ventriloquism. I went to the town of Bury St. Edmunds where Cockton died of consumption in 1853, at the age of 46. I learned that Cockton was an itinerant salesman, and visited Bury St. Edmunds regularly. He stayed at an inn attached to the house where lived the inn’s owner, Eleanor Howes and her daughter Ann, the future Mrs Cockton. The pay was barely enough to keep him going, so in the mid 1840s he was asked back to Bury St. Edmunds to take over the daily operation of the inn. There he found some old brewing equipment that hadn’t been used for a century or so, and he thought that with the coming of free trade the great debate of the day would come a removal of the malt tax, and a change in the laws that forbade the inn from selling beer. He persuaded his mother-in-law to buy vast amounts of barley grain to make beer the moment the laws were changed. Free trade came, but no change in the malt tax. So the barley rotted in sacks behind the inn, and Henry had no choice but to turn to writing again to try and pay back his mother-in-law. But while he wrote plenty more, it just didn’t bring enough money. His mother-in-law banished him from seeing his wife and children and gave the hotel management to a family of illiterates (who eventually signed Henry’s death certificate, with an X) and Cockton got sick and died. Cockton’s daughter probably died in infancy*** and his son refused to talk about him but made known his sentiments when he tried, in 1884, to prevent a commemorative plaque from going up in the cemetery where Cockton was buried. The bestselling author was given a pauper’s funeral and buried in an unmarked grave, its exact location unknown even today. Fortunately, the careers of Cockton and Davies could not be further apart. Davies enjoyed critical and financial success with his internationally bestselling books. Historically speaking, Davies knew practically none of this tale of Cockton’s tragic life. But, a devoted Jungian, Davies knew it through his highly developed intuition. His insights as a man will be missed, while his books will live on to give readers pleasure for years. I believe we share an interest in Henry Cockton. I have lived in Bury St Edmunds since 1966. Had I not lived in Bury St Edmunds I would not have heard of Henry Cockton. But I did find him a figure of interest. Between 1983 and 1988 I worked in Moyses Hall, the Museum of Bury St Edmunds. Did you do your research on Henry Cockton then? There was a local author and journalist called Mary Basham who was interested in Henry Cockton. She used to come to Moyse’s Hall, and I did discuss Henry Cockton with Mary Basham: she may have mentioned your name. We had the idea of putting together a Henry Cockton exhibition in Moyse’s Hall, but a public appeal for information only resulted in a few people loaning us copies of Valentine Vox. Actually Mary Basham told me about the article about Henry Cockton by Donald MacAndrew in the East Anglian Magazine: your blog entry on Henry Cockton suggests that you are acquainted with this article. In 1988 I left Bury St Edmunds and went to the USA. Now here is something amazing: while you found out about Henry Cockkton as a student in Canada, while in the USA I saw John Sutherland’s Companion to Victorian Literature, just after it was published. This gave some interesting leads on Henry Cockton, which I was able to follow up via the US University system. Ultimately this led me to pursue enough reseach to write a new biography of Henry Cockton, admittedly very short, for NOTES AND QUERIES, SEPTMEBER 1994, 349-51. Recently I was doing an internet search for Henry Cockton, and I found your blog, so i thought I would drop you a line in case you wish to discuss our mutual friend further. This is very cool news, and yes, I was researching the Cockton stuff in Bury in 1984, and I met Mary Basham! I will write a longer letter to your email account when I find the time in the next few days, but thanks very much for taking the time to write! Fabulous! My name is Damian Edgar henry cockton. Henry cockton is my great grandad and ashamedly I know very little i would be very interested if you could let me have a copy of the biography that you mentioned. Would really appreciate your help to find out more about my name sake. Many thanks. Wow, that’s told me so much more about Henry. As a Bury St. Edmunds resident I knew little more than the presence of the 2 plaques (one on his home, one in the churchyard) and his Wikipedia entry is minimal. Please consider sending Wikipedia an update. Thank you for that comment, and also especially for the brilliant idea of beefing up the Wikipedia entry. I will make that a project to deal with in the next month as I enter my winter holiday period. Thanks again!!! Henry’s daughter, called Eleanor Ann did not die in infancy. She married Robert Tuck and they were my great grandparents. This very interesting. I wonder how that idea came about that his daughter died in infancy! My apologies for responding after such a long time, but I was extremely busy all month and wanted to respond correctly. I’ll have to change that bit in my post. Thanks for this message! It would seem as though we are related my grandad was Henry’s son. I know very little about my family history. And it would seem my extended family. Would love to find out more. I’ve read through the Wikipedia article and I must say I like it better than the others I’ve seen. I’m descended from Henry’s daughter Eleanor Anne Cockton. She married Robert Tuck 29th October 1863. One of their children was Arthur Robert Tuck, born 10th July 1865. Arthur died 23rd June 1903 at the age of 38, just three months after my father George Thomas Tuck was born. Arthur’s death certificate shows that the death was witnessed by his mother Eleanor Tuck. She died December quarter of 1925 in Norwich. Despite the fact that Henry Cockton didn’t make a fortune with his writing, the two children did get educated. The 1961 census shows Eleanor as School mistress at Colton, where Robert Tuck lived. Edward S. Cockton is shown as a teacher at the National School Bury St. Edmunds. The 1891 census shows Edward as Organist and Music master in Greenwich. Needless to say, Eleanor had to give up work to be a good wife and make babies! Slight error on my part. My grandfather’s name was Arthur John Tuck, not Arthur Robert. He named one of his sons William Arthur Robert. Arthur’s older brother was caller Henry, no doubt named after Eleanor’s father. Thanks for the message. That sounds absolutely fascinating. I have a few first and other editions of Valentine Vox, and at the time I was more interested in him I recall having found that the book was in print continuously up until 1920. After that there was no other edition. I don’t know if that has changed, but I suspect it has not changed. I would have been interested in that sign 30 years ago, but it doesn’t interest me now – I mean as something to purchase – but it sounds fabulous. Thanks again for the comment. 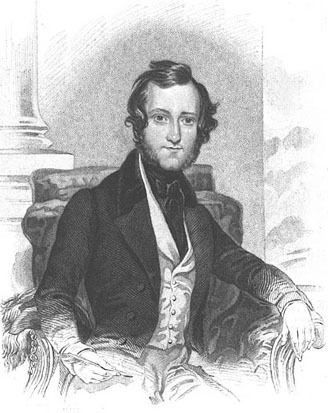 Henry Cockton, who wrote Valentine Vox, died in 1853: that was over 150 years ago. Robert Tyas the publishing company which first published Valentine Vox, disappeared from the records in the 1840’s. Valentine Vox was published in 1840: it was last republished in 1920: that was over 90 years ago. I therefore doubt that anybody has copyright on Valentine Vox, and I think that anybody could now do whatever they liked with the book or name without any legal consequences. Fascinating find by all accounts. Would be interested in seeing some pictures of the sign,and may be interested in Knowing if it is for sale. I am Henry’s great great grandson and would be certainly interested in knowing more about the piece. I have finally published a thorough study of Henry Cockton, even if it is in a historical journal that probably does not receive a wide circulation outside Suffolk. The Suffolk Local History Council is, as its name obviously implies, a historical society for Suffolk. Here is a link to its website https://slhc.org.uk/ It publishes a twice yearly journal, THE SUFFOLK REVIEW. Issue sixty nine (new series) for Autumn 2017 has just been published, and it features a sixteen page, fully referenced study of Henry Cockton and all the nine novels that he wrote. This does incorporate just about everything I have been able to find out about Henry Cockton, but, I should caution you, that, even so, this is not a very great deal (as far as I am aware, no personal papers, documents, or letters that he wrote have survived). But at least, I have published the information for a wider public. I see this blog has attracted two Henry Cockton descendants: I do mention Henry Cockton’s children. Eleanor Anne (possibly named after her grandmother and mother) was born on 20 December 1839; Edward Stanley was born on 11 December 1841, both in Bury St Edmunds, in the street called Long Brackland (where their mother’s family lived) even though Henry was living in London. All I can find out about Eleanor is that she married a Robert Tuck. Edward became a teacher at St James National School in Bury St Edmunds, then organist and choirmaster in Cirencester Parish Church in Gloucestershire, and then Professor of Music at Greenwich Royal Naval College. From the internet I later found that Edward died in 1904, although I omitted this detail from my published study. But, at last, a full study entitled “Henry Cockton: A Suffolk Novelist Of The Age Of Dickens” is now available in the Autumn 2017 issue (new series number sixty nine) of THE SUFFOLK REVIEW, the bulletin of the Suffolk Local History Council. Great to hear from a descendant of Henry Cockton. It is a pity that the Suffolk Review is not available commercially: you cannot buy it through bookshops, or online. As you have made internet contact with the Suffolk Local History Council you could ask them if they can provide a copy (I do not know if they will send you a copy of the Suffolk Review, or, if they do, what the cost will be). If that fails come back to me and perhaps I can send you a photocopy. You are Henry Cockton’s great-great-grandchild. That is quite a close connection. Please, do you have any knowledge of Henry Cockton? Please, are there any family traditions that have been passed down through the generations? Do you have any items connected with Henry Cockton? Have any family heirlooms or papers survived? Maybe I should say a bit about my interest in Henry Cockton: my parents moved to Bury St Edmunds in 1966, when I was ten, and this town has been my home since. I am greatly interested in history (and solving historical conundrums) my interest in Henry Cockton was first aroused when I saw his memorial in the town churchyard. At thirteen I read his entry in The (original Victorian) Dictionary Of National Biography, which says very little: at that point I resolved to find out what really happened to Henry Cockton. Years later I ended up working for the museum in Bury St Edmunds, when a mutual acquaintance who was involved in local history put me in contact with Brad Spurgeon. Over several years after this I did come across a few bits of information, and gradually pieced together a partial biography of Henry Cockton. Over the last year I was greatly assisted by the British Library’s online resource THE BRITISH NEWSPAPER ARCHIVE: this has long runs of The Bury And Norwich Post and The Bury Free Press, the local newspapers for Bury St Edmunds, and from this I found a reference to your great-grandparents’ marriage, but I think you have details of this already. I regret that I never really was able to find out much about your great-grandmother: her birth certificate says she was born on 20 December 1839: she was thus thirteen when her father died, so she might have had a reasonably good memory of her father as a person, and known quite a bit about him. However, I assumed (and you infer that my assumption was correct) that, when she married, she changed her surname and moved away from Bury St Edmunds, so I never pursued this line of enquiry. Therefore I was pleased to see that you were able to find out a bit more about her. It is nice to think that she became a teacher. At this point I am beginning to make speculations without evidence, but it suggests that your great-grandmother must have been of above average intelligence and had quite a good education to take this up teaching at a school as a profession. It was even more of an achievement in 1861, as this was before the passing of the 1870 Education Act, when there was no legal requirement for children to go to school at all, with the result that quite a significant proportion of the population were still unable to read or write, to a point where they had to sign their name with a cross. Alas, I really know little about Henry Cockton’s early life, and I have no idea whatsoever about his education, but it is a reasonable inference that he was educated to a certain standard to be able to write nine full-length novels (to re-iterate, an extra accomplishment in an age when education was not compulsory). And I cannot really know anything about what Henry Cockton might have been like as a father (although my intuitive feeling is that he was a loving, caring father who was genuinely concerned for his children’s welfare): from what you say, he must have been concerned to see that that his children received an education, and I think it is possible that, even after his death in 1853, his widow (your great-great grandmother) must have been ready to see that Eleanor and Edward continued with their education, as both your great-grandmother and your great-great uncle Edward entered professions which presuppose a certain level of intelligence, academic ability and formal education, which should be a source of pride for you. I think I have gone on for rather a long time, but feel free to keep in touch, and please let me know if you have any further knowledge of your great-great grandfather! Sorry for the delay in replying. I would really like to read your article about Henry COCKTON, my great great grandfather. I went onto the Suffolk local history website and found it listed on their pdf index, but nothing more. If they don’t publish it in one form or another, what do they do with it? I found what appeared to be several email addresses for contact but each one bounced back at me. The only one that didn’t come straight back was what I hoped was the chairman’s address, so I sent my email there but I’ve had no response. I’m afraid I don’t have any documents or details of any family quirks, I wish I had. I must say I knew absolutely nothing about my family before I started researching in about 1998. Until then I believed my father’s family had always lived in Sawbridgeworth in Hertfordshire and that his father died three months after he was born and his mother remarried. But I’ve done a lot of research since then and found it fascinating. I doubt much of it will be of use to you for your research but I’m happy to share what knowledge I have if you wish. Thank you for telling me the date of Eleanor’s birth. I didn’t buy her birth certificate, nor that of her parent’s marriage. I seem to have bought just about everybody else’s over the years! Details would be greatly appreciated. I worked in Bury for two weeks back in the mid 1950s, at the telephone exchange as a relief telephonist. I had no idea I had ancestors lurking there. I went again just a few years ago and looked for the two plaques in Henry’s memory and took photos of them. Apart from filling in the details I’ve already given you about Eleanor being a teacher in 1861 in Colton and then marrying Robert TUCK in Hockering in 1863 there are a couple of things I’ve pondered about which might be of interest to your research. Firstly, what happened to Henry’s widow Anne after he died? After much searching through the various records online and not finding a death for her, or an entry on the 1871 census, I looked for a second marriage and I believe she married Samma Shepherd STORR on 03 Aug 1864 in Bury. He was a plumber and he died in 1869. I haven’t delved too deeply into these records but it would make sense. I don’t seem to know where she was on the 1861 census, she was not with either Eleanor or Edward. I also don’t know when she died. Robert and Eleanor had several children including a daughter Eleanor Stanley TUCK in 1870. She became Eleanor GAYTON. My great great grandfather Arthur and his wife and two daughters had moved from East Dereham to Sawbridgeworth in the 1890s but on the 1901 census they are at the home of his sister Eleanor GAYTON in Heigham, Norwich. If you were just looking at the published records you would never know that Arthur and family had moved, except it shows their son William was born in Sawbridgeworth. So too was their third daughter, born in September 1896 and named either Ellen May or Eleanor May (my money’s on Eleanor). Her name appears one way on her christening record and the other way on the register. Sadly, she died in June 1898. I managed to get a copy of the Valentine Vox book some time ago. I didn’t get very far with reading it because old books make me sneeze! But it is interesting to see that Henry had characters called Eleanor, Edward, Anne and I believe there was a Stanley too. I hope this have been of some use to you. Now all we have to do is find descendants of Eleanor GAYTON and see if they have more details of Henry COCKTON. How hard can that be? Thank you for your new information. It must have been a surprise to research your family genealogy and then find you were descended from a Victorian novelist, who was of some fame in his time. If you provide me with your address I will send you a copy of my research. 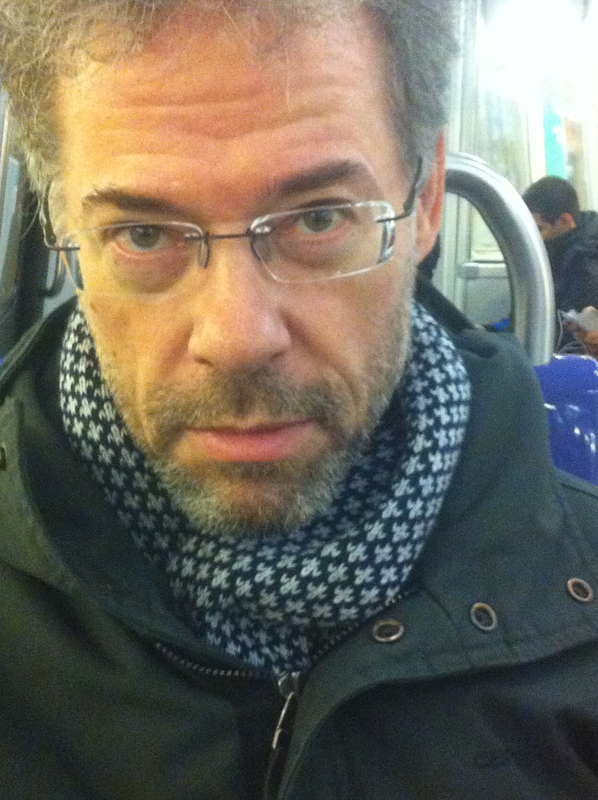 If you send me a message via roberthalliday2011@gmail.com we can exchange more information. If you send me your home address via roberthalliday2011@gmail.com I can post you a copy of my new article. As regards Eleanor Cockton, your great-great-grandmother, I found that she died at her son, Edward’s house in Cirencester, Gloucestershire, in 1875. This was given a brief mention in the Bury And Norwich Post of 6 July 1875, page 5. I am not sure how the Bury And Norwich Post obtained this information. Did the Cockton family pass the information on to the newspaper. Eleanor Cockton would have been about 65 when she died. I do not know much more. Alas, your great-great grandparents, Henry Cockton and Anne Howes, got married on 9 May 1837. Civil registration of marriages only began on 1 July 1837. So there will be no marriage certificate. That was a pity, it might have told us a little bit more about their early life. Alas. Keep in touch (via my own email address if you wish) and I will provide what information I can.